China Express Airlines has secured approval for an initial public offering (IPO) to expand its fleet, becoming the first regional carrier in China to launch an IPO. 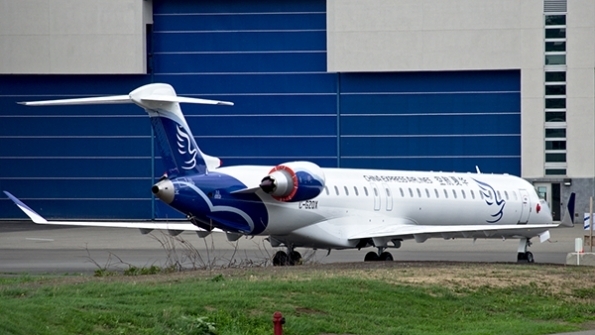 The Guiyang-based carrier plans to collect CNY1.4 billion ($215 million) to buy six Bombardier CRJ900 aircraft, three engines and build a flight training centre. Launched in 2006, China Express set up five domestic bases, comprising Guiyang, Chongqing, Dalian, Hohhot and Xi’an. The company operates 26 CRJ900s on more than 70 domestic routes. Of these, 95% are regional routes, which account for 11% of Chinese regional routes. China Express has signed codeshare and special-pro-rate (SPA) agreements with China’s major carriers to provide regional services on major trunk routes. The carrier aims to increase transfer passenger traffic, currently at 15%. By 2020, China Express plans to introduce narrowbody aircraft and expand its fleet to 66 aircraft, comprising 50 CRJ500s and 16 Airbus A320s. The airline reported net profits of CNY123 million in 2014, CNY258 million in 2015, CNY338 million in 2016 and CNY172 million for the 2017 first half. However, an industry source cited government subsidies as an important reason for the profits. China Express received government subsidies of CNY72.8 million in 2013, CNY44.71 million in 2014 and CNY35.24 million in 2015.